Montréal mixologists are renowned for challenging the boundaries of the cocktail world. With a hot new bar popping up each week, you’re a single “Cheers!” away from stepping out of your comfort zone — but in the most decadent of ways. Un Po Di Piu is the place to visit for a glimpse of Italy’s Dolce Vita. As soon as you enter, it’ll feel like home. This warm and cozy bar not only makes the best negronis in town, but also honors the apero tradition with a tasty antipasti menu. You’ll say “Saluti!” more times that you can count. Insider Tip: Make a pit stop before or after dinner in Old Montréal. Even better, pair your visit with an afternoon at Bota Bota, spa-sur-l’eau, a spa located six blocks away. Want to impress your crew? You can’t get any fresher than this newbie who opened its doors in mid-February 2019. The owners have quite a reputation in the city. They’re part of the reason why Montréal’s bar scene is so playful and creative. Enjoyed your visit? Don’t miss out on Foiegwa and Atwater Cocktail Club, two of their gems located in the Saint-Henri area. Insider Tip: Before you head to Milky Way Cocktail Bar, make sure to share a pizza at Fugazzi, its sister restaurant located in the same building. Expect a Williamsburg vibe and decadent comfort food. Bulma bar is one of the cool kids on the old town block. With a slick, hyper design and a modern East Asian tapas menu, the neighborhood already adopted the concept. The owners, two talented brothers, have hospitality running in their veins. Guests quickly become regulars, knowing they’ll be treated like family while enjoying an awesome night in town. Bars that serve legit food is the “new thing” in Montréal. Behind Bar-St-Denis’ doors you’ll find locals mixing and mingling while snacking on Egyptian-inspired plates. The owners know exactly how to set the table for a crowd that enjoys going with the flow. Have a few drinks, grab a bite and witness a vibe crescendo to a party as the clock strikes midnight. Design geeks, you’ll appreciate the timeless décor incorporating wisely brass, stone, exposed bricks and marble. Insider Tip: Tag along with your wine lover friends. Bar-St-Denis has an affordable and most importantly original wine by the glass offer. Old Montréal now has its own izakaya. Hanzo is dishing up revisited classics with an edgy flair and stirring cocktails that feature sakes and Japanese whiskeys prominently. On the lookout for a mature crowd of 30 and up? You’ll find it there. While you’re there, play a game with your friends and offer a sake bomb to the one who discovers the most decor details inspired by the Kill Bill movies. Insider Tip: Discover Hanzo sister properties Habanera (Cuban), Gokudo (Japanese), Escondite (Mexican), Biiru (izakaya) and Koa Lua (Hawaiian). Broken Coconut is another lounge that recently opened in the flourishing neighborhood of Saint-Henri. This rum bar offers cocktails that are second to none. Each concoction is mixed with some of the best rums in the world. A visit is equal to a short escape to the Caribbean and at least one #FriYay on your IG game. As someone who is finely attuned to Montréal’s vibe, Caroline Khangi is a natural ambassador for the city. With a curious nature, she explored a number of different fields, including fashion, music and design, before finding her calling in the hospitality industry. 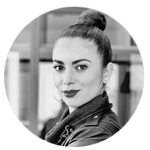 Today, she draws on her in-depth knowledge of the city and broad network of contacts to inform her work as a W Insider at the W Montréal Hotel and as a contributor to Mt1642 magazine.